Ultra Micro Tips and Standard Universal Tips - Universal fit on research grade pipettors, tips are accurate, precise and reliable. Graduated tips provide visible reference points. 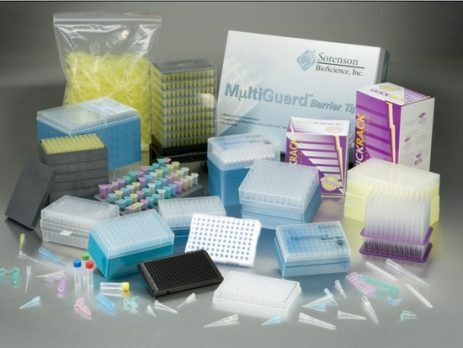 Barrier Pipette Tips - MultiGuard™ Barrier Tips effectively block aerosols without the risk of contaminating your sample with additives. Gel Loading Tips - MultiFlex™ and MiniFlex™ Gel Loading Tips are used globally in genetic sequencing studies. Tips have universal fit on research-grade pipettors. OneTouch™ Pipette Tips - A revolutionary tip that is manufactured from 2 resins, OneTouch tips provide a soft color-coded top collar and a rigid, ultra-clear polypropylene body.